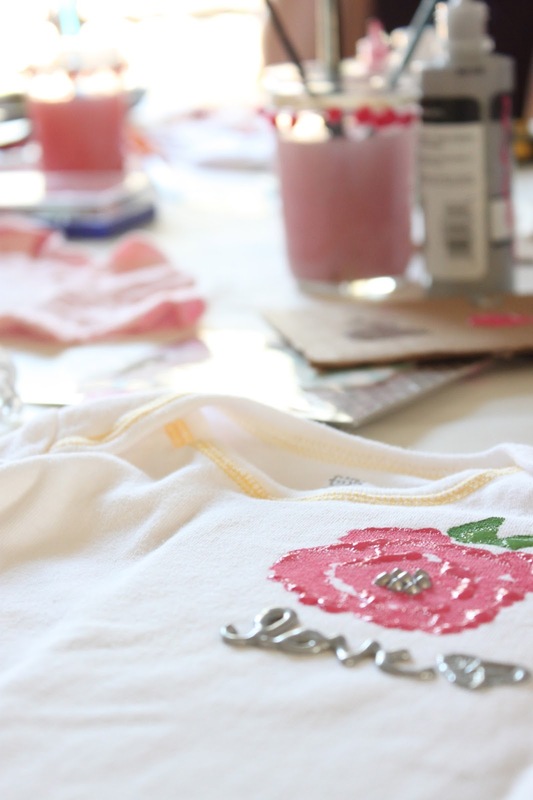 Sweets By Francesca: It's a Baby Shower! I love showers! They are a themed and girly event that I cannot resist. I had the honor of helping plan a baby shower for my dear friend. I had so much fun making these heart shaped cookies. The lace design was much easier than I had anticipated. Sweet Sugar Belle provides a great tutorial for this pattern. 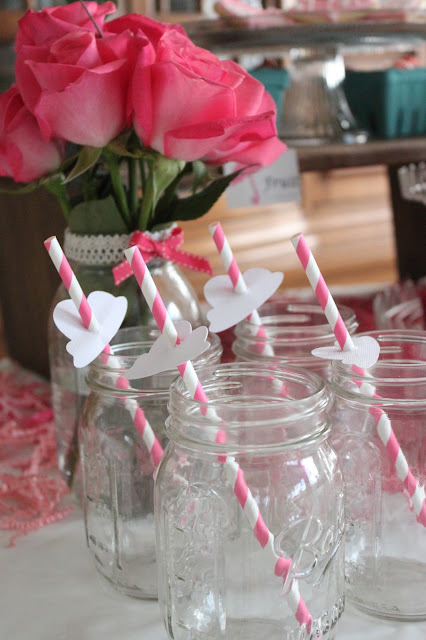 Drinking out of mason jars with pink paper straws completes a shower experience, in my opinion. 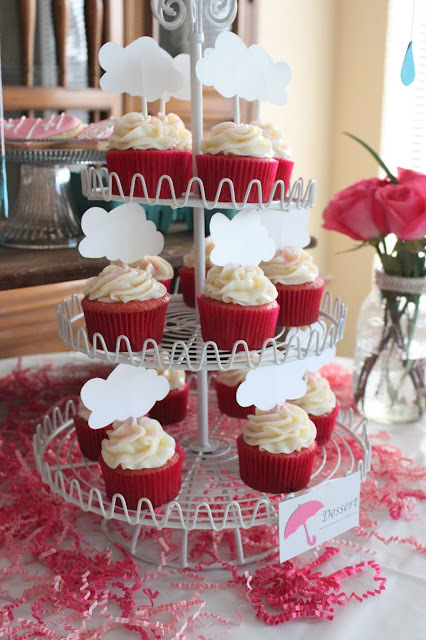 Strawberry Cupcakes with Cream Cheese Frosting and Cloud toppers. We welcomed the sweet baby girl in style! Oh my god! I cannot take my eyes off this post. Everything here is perfect. I am sorry but I have to save and share this post. My cousin is soon going to be a mother and we have booked one of the Los Angeles venues for her baby shower. I got so many good ideas from this post.